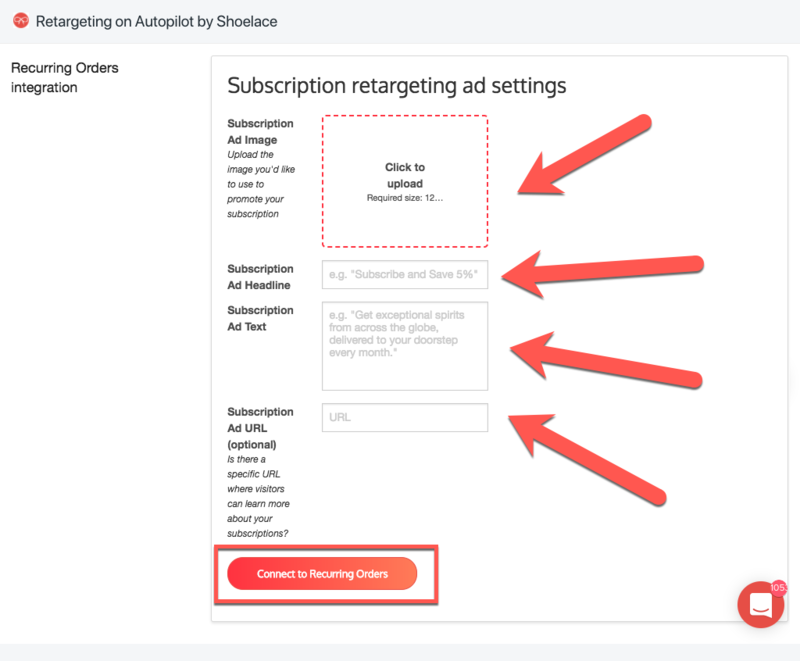 Our new integration with Recurring Orders by Bold shows your customers a retargeting ad promoting your subscription plan, after they’ve bought a product from you. For the integration to work, you will have to set up the integration both ways. 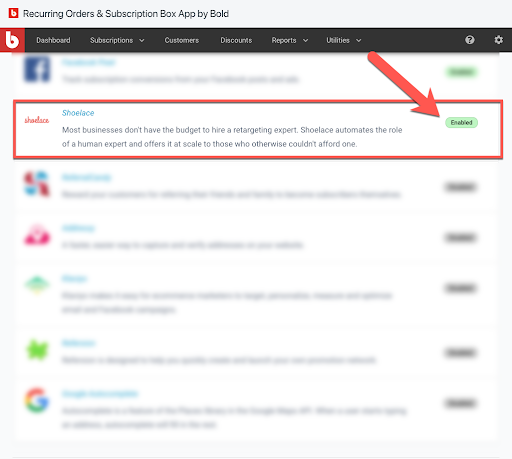 Before you start, make sure you have the Facebook Pixel enabled for the Recurring Orders app. We also recommend starting with the Bold app and enabling Shoelace there, before doing the Shoelace app integration. 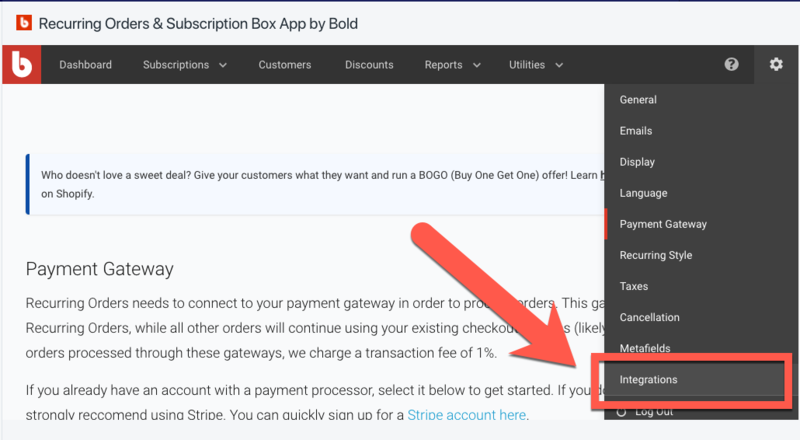 Click on the Apps section of your Shopify dashboard and select Recurring Orders and Subscription Box by Bold. 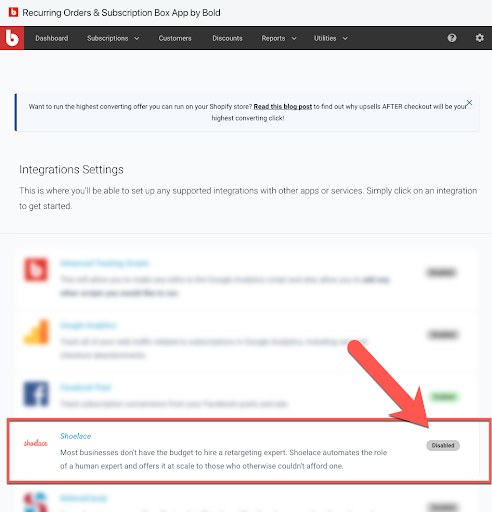 Go to the Integrations page of the app. Look for the Shoelace integration. Click on the button that says Disabled. Click on the Enable Shoelace then hit Save. 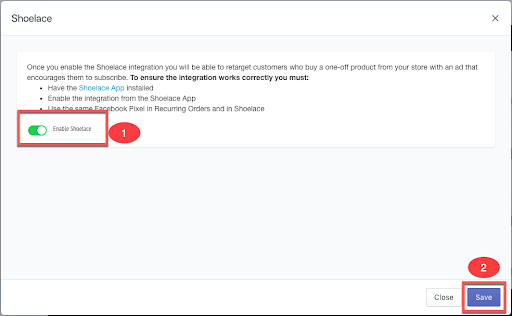 You should now see that Shoelace is on Recurring Order’s Integrations page. 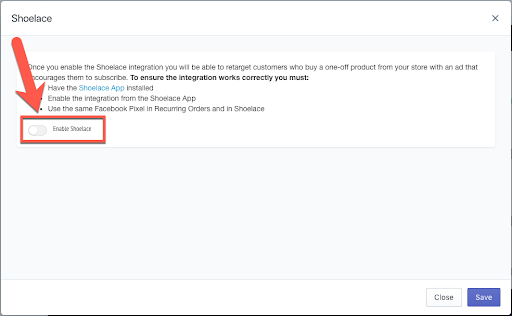 Back in your Shopify Apps page, select Shoelace. Go to the Settings page of the app. Scroll down and select Connect to Recurring Orders. Upload a photo and add a headline, ad text and the URL for your subscription page. Tip: If you’re not sure what to put in the fields - don’t worry! We’ll typically have the fields pre-populated with what we know works well, so you can edit the fields quickly or leave them as is. 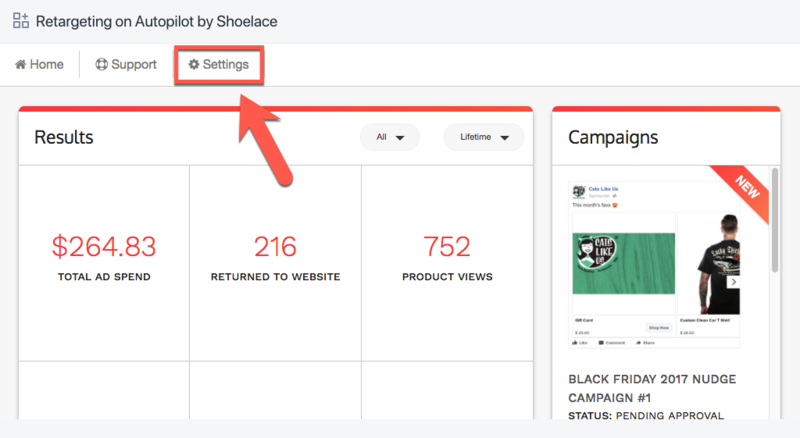 You should now see that Recurring Orders is connected to Shoelace! 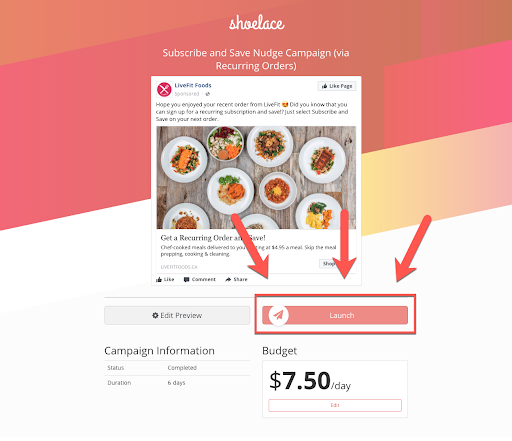 When the integration is enabled, you’ll receive your first Subscribe and Save Nudge Campaign which will run for a set of period of time with the image and the copy you put in. 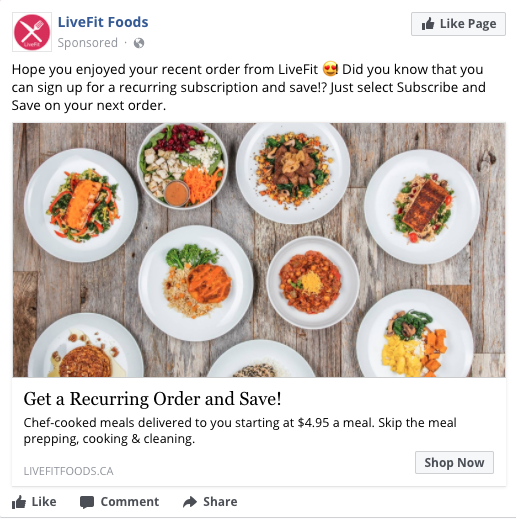 All you have to is hit Launch and your customers will start seeing the ads on Facebook and Instagram! With our brand new integration with Bold, you’ll receive more recurring revenue via subscriptions and turn one-time customers into repeat buyers, without the extra work of setting up and running more ad campaigns! We integrate seamlessly with your favourite Shopify apps like Conversio, Mailchimp, and Four Sixty to supercharge your retargeting. Ready to take your retargeting to the next level?